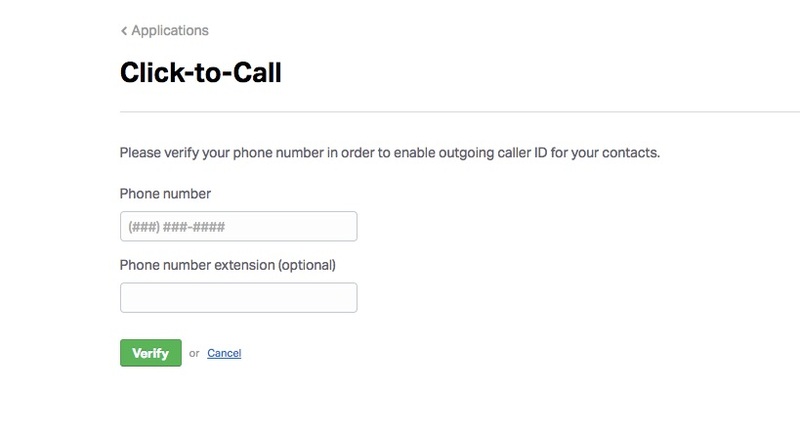 How can I verify my phone number and enable Click-to-Call? Go to “Applications” by clicking the three vertical dots in the upper right corner of Wealthbox. Click “Settings” to the right of “Click-to-Call”. You will receive an automated call which will provide a code that you will then need to enter to complete the verification process in Wealthbox. When the verification completes, you will see your number with a green checkmark and “Verified”. Note: The Wealthbox Click-to-Call feature currently only supports one number being used at a time.